Every year, the internet reshapes itself. There are changes, some are important and visible to people while some stay in the background (pun intended), often invisible to ordinary users while developers continue to manage them accordingly. 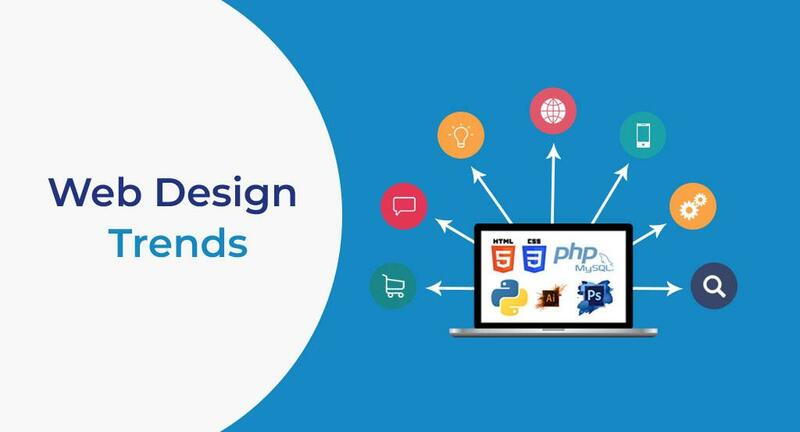 For your website to stand out from the crowd (and indeed it is a difficult task), it is imperative that you keep understanding about the modern trends and keep on adjusting your website accordingly. Here, I will be looking at some of the changes that will be (fingers crossed) drawing the web design concept to a new direction and ensures that how you can future proof your website for 2015 and remain “bookmarked”. Before you understand, these predictions are based on the current market trends of design and user interface. With IE11, a much improved and faster browser has arrived and the legacy system support for IE6 and IE7 is finally not going to be the optimal priority anymore. Microsoft will be launching Spartan (a browser similar to Chrome in outlook in many ways) and with IE11, they already have a great platform to work on. It is hard to find faults with IE11, it is the best browser that Microsoft has come up with proper time and its advent and future growth will mean that you do not have to maintain support for legacy browsers any more. Our Top Tip: With the gradual sun setting of the IE6 & IE7, it is time for you to go ahead and be innovative with your design elements. There is no need to be worried about not having a proper user experience on most web clients. Talk about advanced statistics and user monitoring on the go. Google has been tinkering with the concept of advanced analytics with faster, better and more secure cloud computing support, expect this to become even more relevant. User data is going to be more important than ever and many developers will realize that pooled data management is the way to go. With customer data and big data becoming a viable source of revenue for almost every single web designer, this is your chance to create your own legacy. Our Top Tip: Develop ethical user experience and usage policies and inform your users about the potential hazard and opportunities related to their data. You can also start finding associates right now and form symbiotic relationships with other websites before your competitors get to know about your idea. In some cases, you can also check from your competitors for possible data sharing. Not many of your users may remember that there was a time when no one had any idea about Facebook, MySpace and Twitter. The time has changed and though Facebook will continue to remain relevant, it will be continually changing and evolving and have less hold over the social marketing domain. Understand all about the new trends in the market and continuously keeps learning about the API’s of all social networks. Understand the true potential of all social platforms and create dynamic web sites that manage and support more than one social network. Our Top Tip: There is more to social networking than ever now and you must remain one step ahead of the trend by having a keen eye on the market. Specialized mobile sites have become standard platforms for many users now. Your traditional website design has maintained the focus on the desktop rather than on mobile. The trend has been changed and for many websites, a better mobile website is even more important than ever before. Our Top Tip: Hit your straps and improve the layout of the mobile website. Optimize it and once you are done with it, keep optimize it on a frequent base. A few years ago, there was a sense that by 2015, a major portion of internet traffic will be provided by connecting devices. In the future, your fridge will serve your selective food through an automated system. It will be there eventually, but 2015 will not see major traffic from automated agents. It is true that technology is transforming its shape rapidly, but for now, the vision of automated devices is as distant from us. Our Top Tip: This can wait a little longer. You can invest more in providing better services to humans for now, automated autonomous device agents can wait for some time. Spend your energies on the creation of websites that offer better user experience. There will be a certain degree of similarity in many websites even this year and creative design will continue to remain in the top position. The ready-to-wear cheap solutions that can be picked for $5 from many websites will continue to dominate most of the new websites, but the trend setters will continue to move forward. Our Top Tip: There is still no need to compete on price as long as you are offering your clients better services. The Design continues to be a premium and it will remain this way for the predictable future. The year of 2014 remained a growth year for video ads. Advertising will shift towards video streaming even further. The small area of mobile screens has been a challenge in the past, but it is going to be managed better this year. Many web designers still rely on the SWF format for video ads and in 2015; many big ad campaigns target mobile ads. It is wise to stick to non-intrusive way to deliver video to mobile in the next upcoming year. Our Top Tip: Create ethical and smart ways to deliver advertising content to the users on mobile devices. If you wish to design your website presence with the latest trends that are a talk of the town in current time, We will always help you to create an overwhelming online presence of your website. You need to contact our expert team for further help.